What a cute book! My daughter is 5 years old and is fascinated with babies and pretty much everything right now. At this age everything seems to be clicking for her, her brain is whirling 2000 miles a second and she’s full of questions. So having a book that tells you what really happened on the night Jesus was born was helpful. No where in the book is the baby referred to as Jesus, he’s referred to as the baby. So if you’re not religious this book is still a cute read. 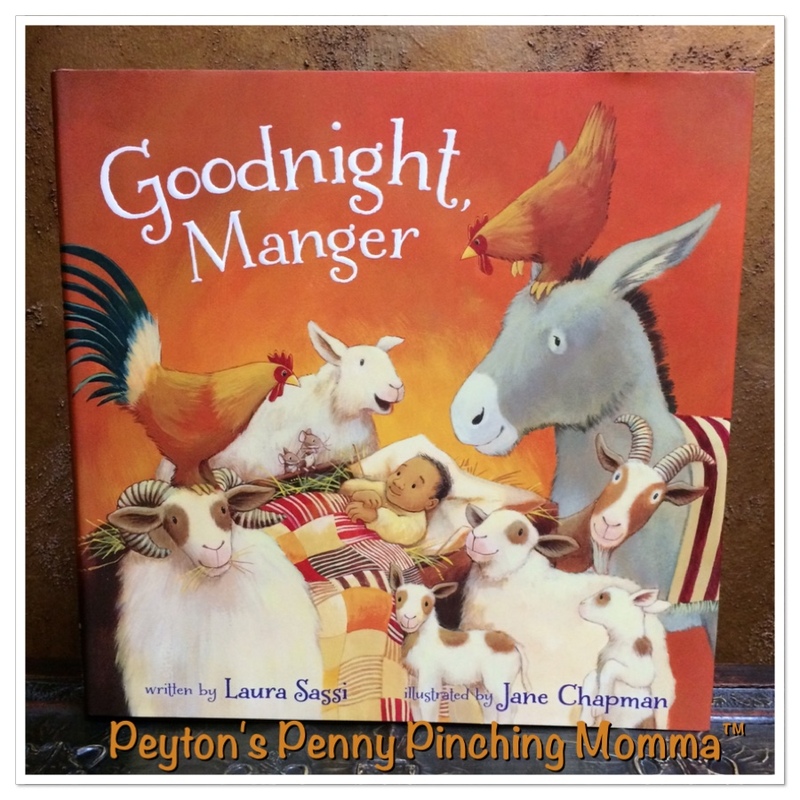 Goodnight Manger written by Laura Sassi and illustrated by Jane Chapman is a wonderful read for young children. Goodnight Manger opens with the mother and father trying to get the newborn baby boy down to sleep in a manger. But there are all these distractions! The animals are making noises, the hay is itchy and there are voices and visitors. All Mama and Papa want to do is get their new baby boy to sleep. As they work to over come the obstacles in front of them the story of the birth of Jesus unfolds. The three wise men show up and serenade baby boy to sleep. The animals come and check in on him. The Hosannas are signing of his arrival. Everyone is just excited for the arrival of the baby boy. And all Mama and Papa want is to get him to sleep. This would make a wonderful Christmas Eve story to tell your child. If your child attends Sunday School they will be able to pick out the story line in a few moments. My daughter caught on really quick that Goodnight Manager was about Jesus and his time in the manager. She loved how all the animals tried to soothe him and make him more comfortable. The donkey brought him more hay to keep his bed soft and the hen adds some feathers to make the hay not itch so much. It’s a great book for young children around the holidays. Connect with Laura Sassi online to find out what her newest projects are.